Enter the fascinating world of this internationally famous Museum and have a unique experience, it marks the culmination of a dream by Ex-Racing champion Brian Radam. His interest in this type of equipment stems from early involvement in the family business started in 1945 which has developed into Lawnmowerworld, catering for all aspects of sales, spares and service. The Museum retains a character not often seen in these modern times. The Museum has now become one of the Worlds leading authorities on vintage lawnmowers and are now specialists in antique garden machinery, supplying parts, archive conservation of manuscript materials and valuing machines from all over the world. 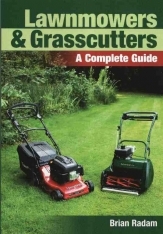 See 'Lawnmowers of the Rich and Famous' including Prince Charles and Princess Diana, Brian May, Nicholas Parsons, Eric Morcambe, Hilda Ogden, Alan Titchmarsh and many more. The lawnmower was patented by Edwin Beard Budding in 1830. He was working in a textile mill in Stroud, Gloucester, where he designed a machine originally to trim the knap off the cloth, destined for Guardsmen's uniforms. His revolutionary idea was to use it to cut grass!!. At the time people thought he was a lunatic and a madman to invent such a contraption, so he had to test the machine at night so no one could see him. Why not book a guided tour and learn more of the extraordinary history of the garden machine industry. Included in this Unique National collection are manufacturers not normally associated with the garden industry, names such as Rolls Royce, Royal Enfield, Vincent, Dennis, Hawker Sidley, Perkins Diesel, British Leyland, Fraser Nash and many more. Most of the exhibit's technical and industrial artefacts are from the Victorian and Edwardian era. The restored exhibits are devoted to keeping a small part of British engineering Heritage alive. BRITISH AT ITS BEST over the last 200 years.